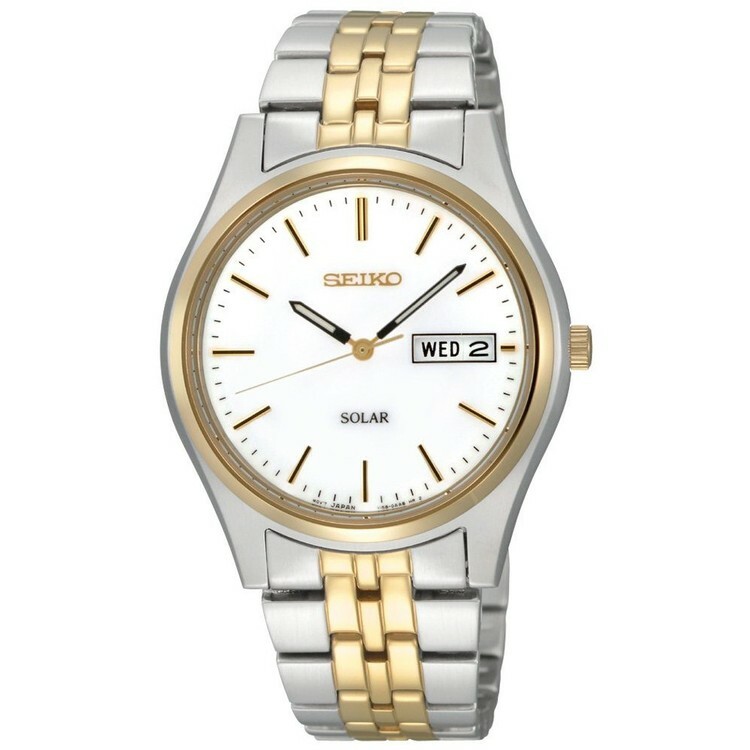 SEIKO believes that the wristwatch is a rewarding accessory. The best watches live in harmony and interact with the wearer, and their functions offer a reassuring and expressively satisfying bond.? This watch's features and benefits include:Hardlex crystal. 30M. Push button release clasp. Two-tone case and bracelet. Silver Dial. Solar. Calendar.